This volume tells the intertwined stories of photography and the American West—a new medium and a new place that came of age together in the 19th century. The story begins just a few years after the invention of the daguerreotype in 1839, as pioneering photographers followed American troops into the Mexican-American War. Taking advantage of rapidly developing technology, photographers soon set out across the overland trails, recorded the shifting fortunes of California's goldseekers, pictured native peoples, and documented the spectacular topography of the American West. The new medium of photography made vivid a landscape few Americans had seen for themselves. 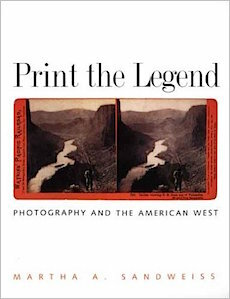 Resurrecting scores of little-known images of the 19th-century American West, this volume presents tales of ambitious photographic adventurers, missing photographs, and misinterpreted images. Chronicling both the history of a place and the history of a medium, it portrays how Americans first came to understand western photographs and, consequently, to envision their expanding nation.